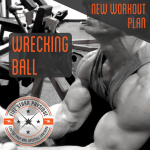 You need a quality workout program – whether you’re a weekend warrior, aspiring competitor, or someone with multiple shows under your belt, you understand the importance of walking into the gym with a plan of attack. 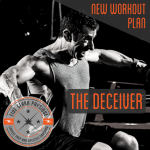 A smart, tough, efficient plan of attack is one of the main keys to building muscle and dropping body fat. 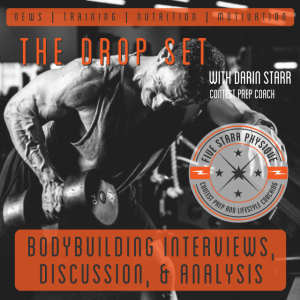 These are bodybuilding workout programs that I’ve written, used myself and with my clients – you’ll find a wide range of upper body and lower body split designs, high volume workouts and lower volume workouts, sessions utilizing protocols that I’ve developed myself, some that focus more on the basic movements and others that get a bit more creative in their exercise design. A written primer on lifting as a bodybuilder that will be useful to beginners and advanced lifters alike. This covers things like how to physically and mentally prepare for your workouts, how to make exercise substitutions when needed, how to know when you’re working hard enough, and how to work harder – because you always can. 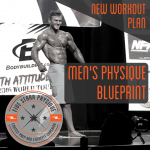 MEN’S PHYHSIQUE BLUEPRINT (#8) – Created specifically to hit the aesthetic demands and requirements of the Men’s Physique division – also a great training split for men and women who want an upper body emphasis while hitting legs just once a week. 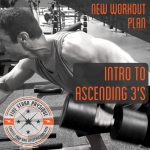 INTRO TO ASCENDING 3’S (#29) – Built around my own custom Ascending 3’s training protocol designed to maximize muscle fiber recruitment and help you reach ACTUAL failure instead of just fatigue overload. 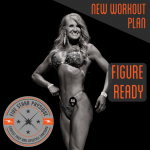 WOMEN’S PHYSIQUE BLUEPRINT (#28) – Specifically designed for the aesthetic demands of WPD, but also applicable for ANYONE seeking a comprehensive training program. 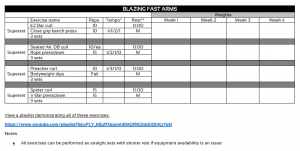 FIGURE READY (#27) – An advanced split designed specifically for the figure division – not for the faint at heart! 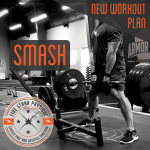 SMASH (#26) – Step 1: Lift like the Hulk. Step 2? SMASH! 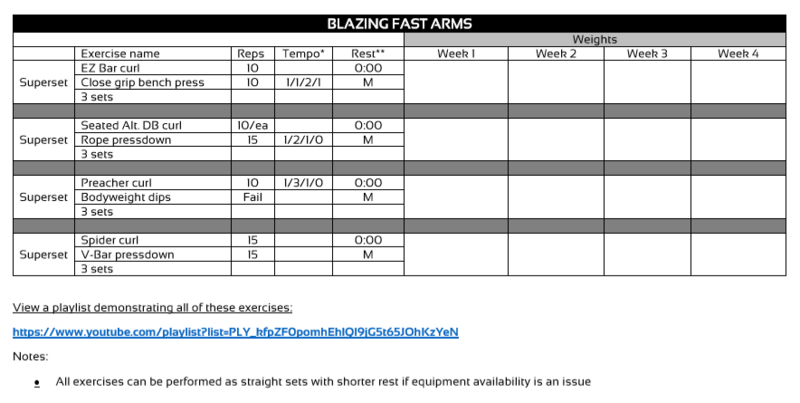 This is the first workout split I’m offering publicly that is designed as a STRENGTH-BASED program first and foremost. Wrecking Ball (#7) – If you want to keep growing, you’ve gotta get out of your comfort zone – let’s start by knocking down the walls, first! This split takes a kitchen sink, “no need to make it pretty” approach to training. BIKINI READY (#24) – Nice capped shoulders. Round glutes. A detailed back. That perfect quad sweep. More glutes. Some hamstrings with a little pop. And yes, MORE glutes. Finally, a workout routine built SPECIFICALLY for the aesthetic the bikini division is looking for. THE DECEIVER (#5) – Awww, isn’t it cute? Watch out, this is a friendly looking split that will bite your fingers off without thinking twice. Not a ton of volume, but supersets and a brisk pace make these workouts – which, back day aside, don’t look too bad – very, very mean. 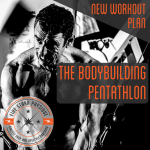 THE BODYBUILDING PENTATHLON (#4) – Volume comes in many shapes and sizes – this 5 session split is moderately high volume but in a lot of different flavors – supersets and giant sets, super high reps in spots, and a wide variety of movements. 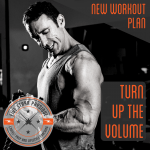 TURN UP THE VOLUME (#2) – A high volume split designed to break you out of whatever rut you might be in and bust into some uncharted territory. I typically recommend avoiding consecutive high-volume splits to periodize things more appropriately. FINISH THEM (#1) – A brutal, high volume split designed to break you – or at least, make you REALLY bend. 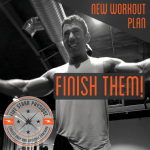 Each workout includes a blood-pumping finisher to really put the finishing touch on each session. Ideally preceded and followed by lower volume splits. Note: Always consult a physician before engaging in any physical exercise programs. While designed for safety, all exercise programs contain risk and individuals are advised to proceed carefully and with caution.